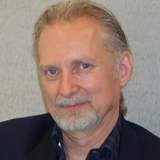 Brian P. Fowler, P.Geo., President. 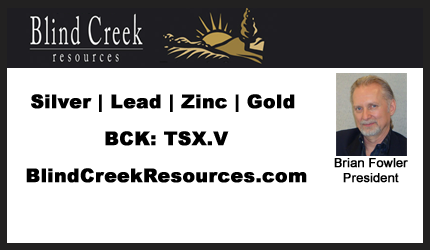 Blind Creek Resources Ltd. is focused on the acquisition, exploration and development of lead-zinc-silver and more recently gold-silver properties in Yukon, NWT and British Columbia. The Company’s flagship property is the 100% owned lead-zinc-silver Blende Property situated 63 km north of Keno Hill, Yukon. In Northwestern British Columbia, the Company has recently acquired, enlarged and commenced exploration at the fully-permitted and historic high-grade Engineer Gold Mine Property. See the Company Fact Sheet. View the Corporate Presentation.